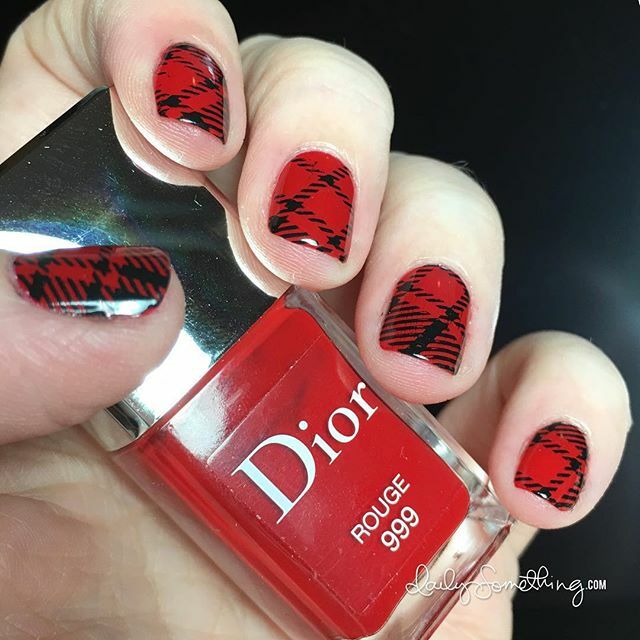 Red & Black Plaid Stamping Manicure. 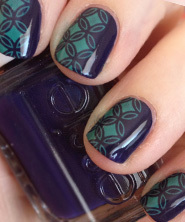 Showed how to do this on Periscope using the QA96 nail stamping plate from Born Pretty and black stamping polish. You can catch the replay on Katch here. For the past four years I’ve been storing my nail polish on acrylic racks that are meant to be mounted on walls. The same acrylic racks you’ve probably seen in nail salons and picked your pedicure polish color from. When I moved into my house over two years ago, my nail polish racks were moved to the closet in my office. I installed them behind the closet door. Unfortunately, that meant I rarely saw the polishes. I started pulling out just my favorites and keeping them on my computer desk. Talk about a mess! Nail polish bottles were everywhere. So then I corralled them into clear shoe boxes that I started stacking under my desk. There were still some in the closet on the racks, mind you. 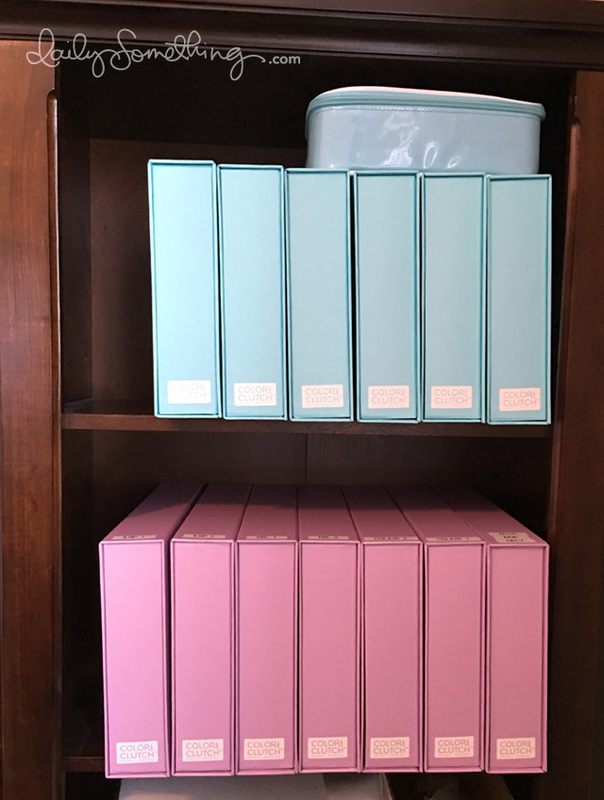 My collection was embarrassing large–yikes! Anyway, after two years of having my collection split between the shoe boxes and the racks in the closet, I was SO happy to hear about Color Clutch. Katharine, who created this awesome product, sent me an email about Color Clutch. After visiting the website and seeing what Color Clutch was all about, I immediately bought lots of Color Clutches–thirteen large clutches and one smaller travel clutch! Katharine offered to provide me with a Color Clutch to review, but I beat her to the punch and ordered a bunch on my own! That’s how much I just *knew* these would work for me. This is a totally unbiased review because I purchased these myself and just wanted to share them with you all! :) Be sure to read to the end of this blog post for a special discount code! 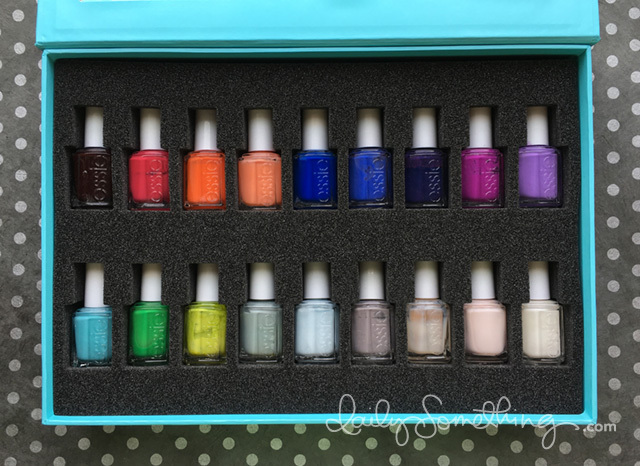 I only have about ten empty slots, so if I buy more than ten new polishes, I have to give away some away. This is the same thing many do with clothing they buy–in with the new, out with the old. 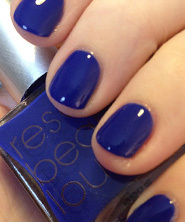 This will force me to keep my polish collection to only an slightly embarrassing size. LOL! 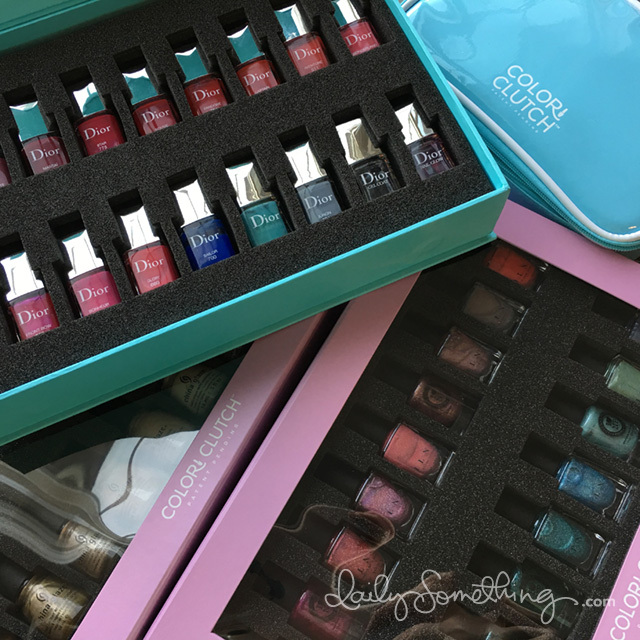 What do I love about the 18-Bottle Color Clutch? 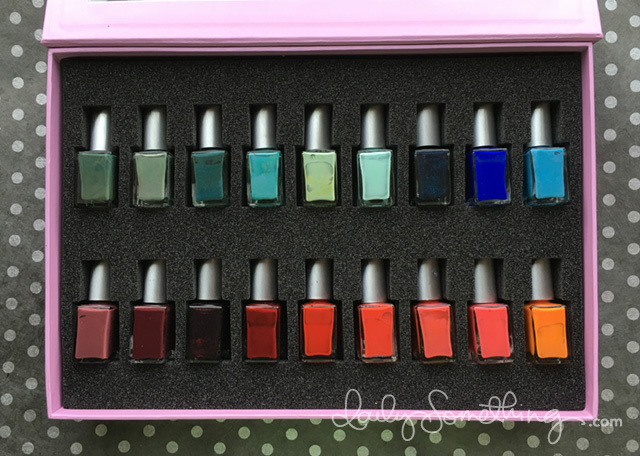 It’s compact, my polishes are protected (I dropped a box when I was moving them into the bookcase and no polishes were damaged), and I can see all of them easily. 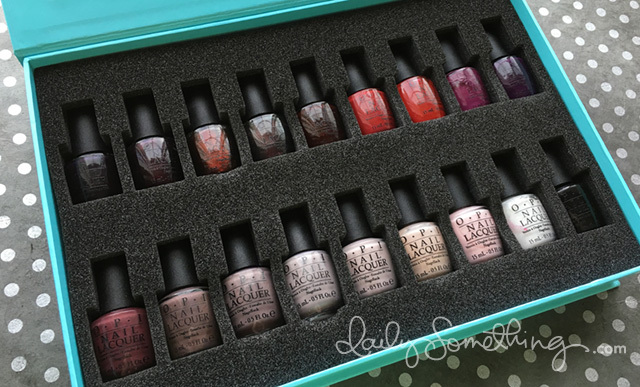 Also, because the polishes are snug in the foam, I can easily rotate the box to “mix” the polishes. Nail polishes settle and separate if they’re not used and picked up often. When you have a large collection like mine, you’ll notice it right away because there are so many of them and I can’t use all of them quickly enough. So I need to turn my polishes or pick them up and rotate them a bit in order to prevent separating of the polishes. Now I can just turn the box upside down. Easy peasy! 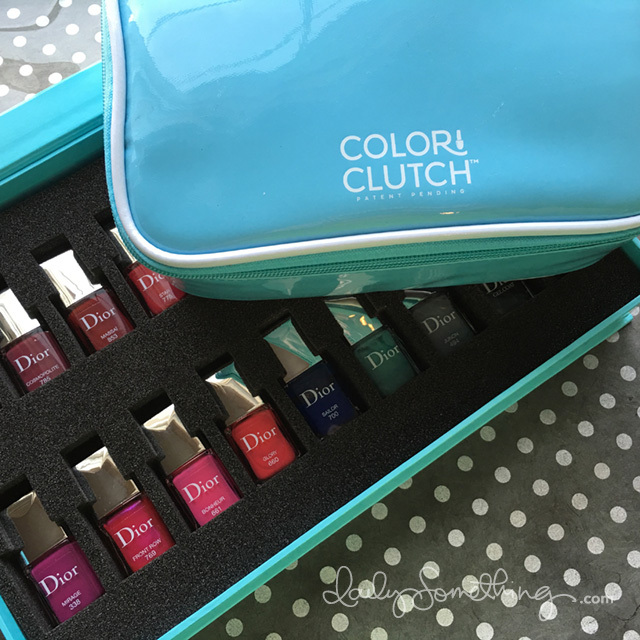 The 8-bottle travel Color Clutch is pretty great, too! I’ll be using it for travel at some point, but while at home it houses my favorite base coats and top coats. Plus, there is a zippered pocket on the inside that I’m using to store a nail file, brushes, cuticle remover, cuticle pusher, and a nipper (which I never use for my cuticles. 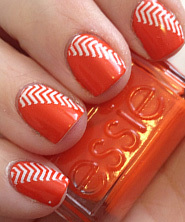 I only use it for controlling hang nails–ouch!). (Polishes shown from left to right, top to bottom: Nail Magic Botanical Strengther, CND Stickey Base Coat, Glisten & Glow HK Girl, Seche Vite, Orly Bonder, NailTek II, Glisten & Glow Stuck on Blu, Glisten & Glow Ctrl Alt Delete). And now we have the rest of the pictures! 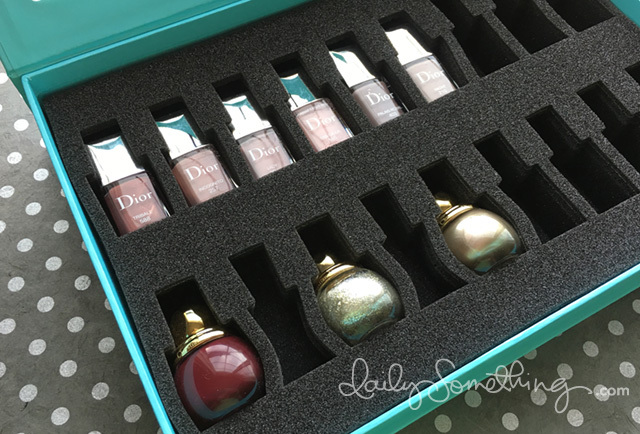 I wanted to include these so you can see how different polishes fit into a Color Clutch. 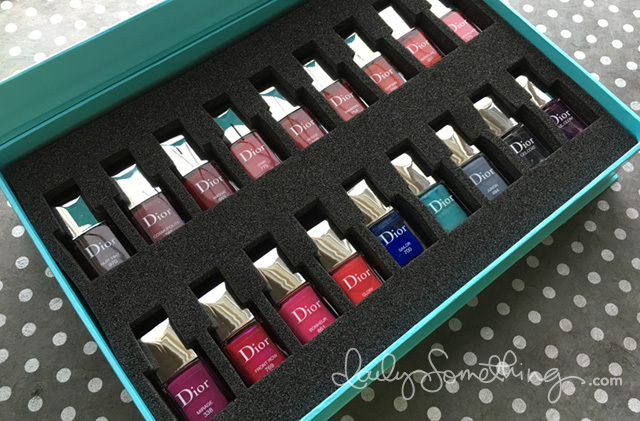 My second box of Dior polishes. I have three of the limited edition polishes that don’t fit perfectly because they are round balls of glass. Such pretty bottles, but not very practical with it comes to storage. I had to leave the slots between them empty. Bottles from Rescue Beauty Lounge (which I’m sad to say is no more as of just a few days ago) fit inside the foam, but I had to turn them so the sides are facing out. OPI bottles presented a challenge. They are quite round and wide, but I was able to squeeze them in. Nicole by OPI on the other hand… Don’t fit perfectly. I had to leave a slot empty because there wasn’t any room for another Nicole polish next to it. Three polishes were okay, but when I had four Nicole polishes, it stretched the foam too far and there wasn’t room at the end of the row. Now for a discount code! 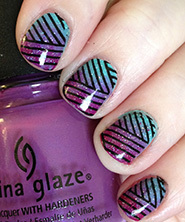 A big thank you to Katharine from Color Clutch for providing this promo code! Use the code STAROFMAY15 at Color Clutch to receive 15% off your order through December 15, 2015. And be sure to check out my Instagram tomorrow for a special giveaway!